We create high-end e-commerce websites for brands like T.H. Baker, Penfield and Nutricia, as well as other Lancashire companies like Mardon and Glendale. We also combine our web design and development with hosting services, powering thousands of websites on our superfast servers and specialise in five-star customer support to give our clients the best possible return on high-performance web hosting for their business. It’s our job to help clients by giving them the best e-commerce site possible, whether they’re in our native Lancaster or halfway around the world. We do that through personal consultation, tailored digital projects and ongoing support, and we work to the ISO 9001 quality process to guarantee those results happen on time and on budget. “Nothing ever seems to be too much trouble. 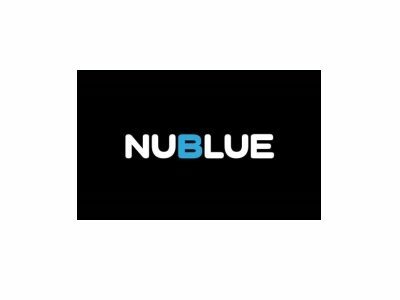 In a world of tech depersonalisation, Nublue genuinely puts back the human touch… Nublue, we love you!” – The Konjac Sponge Company Ltd.
Write a short, simple growth plan and stick to it, with a single vision at its centre that’s entirely focussed on helping people. Identify a mentor, whether online or in person, and learn how they grew their business. Above all, target your market, know your customers and solve their problems. The best businesses grow by solving more problems for more and more people. Lancashire offers a fantastic mix of culture and fresh career opportunities in its urban centres, but the county still retains its characteristic warmth and friendliness – and clients genuinely enjoy working with Lancashire businesses because of that. Beautiful countryside, great transport links and more affordable homes and rentals mean that jobhunters can enjoy a fantastic work-life balance here, without being priced out of busy centres or desirable towns and villages. With amazing colleges and universities in the county, and no shortage of entrepreneurial spirit, it’s possible to attract exceptional talent to Lancashire if the right career opportunities are available. All of these factors combined make Lancashire an exceptional environment to start and grow a successful business. Lancashire is a fantastic place to live and work. All that’s missing is the sheer number of jobs necessary to keep its home-grown talent around, at least in our experience of the county’s digital sector. Any initiative that can attract more attention to Lancashire businesses, help them to grow and create new jobs is an initiative that helps the region, the UK and the economy overall. Our country is part of a global marketplace, but its growth and success starts with small businesses in places like Lancashire. Boost has helped Nublue to grow into the company it is today, and we want to help more companies to grow too – which is why we’re behind Boost all the way.